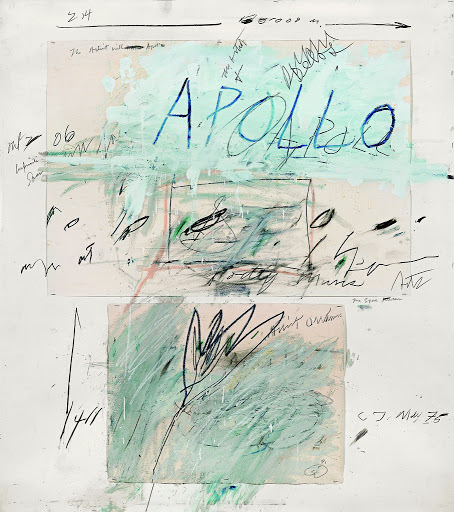 Cy Twombly, great American painter, died yesterday in Italy at the age of 83. You can see the NY Times article here. What I would like to share today are not only a few images of his work but why he is so special to me. Before I moved to Houston in 2002, I was in love with Modigliani and Egon Schiele. Despite my friend’s protests that I should l study the more serious Pollock and Rothko, I just couldn’t do it. I wanted beauty and narrative and sensuality. 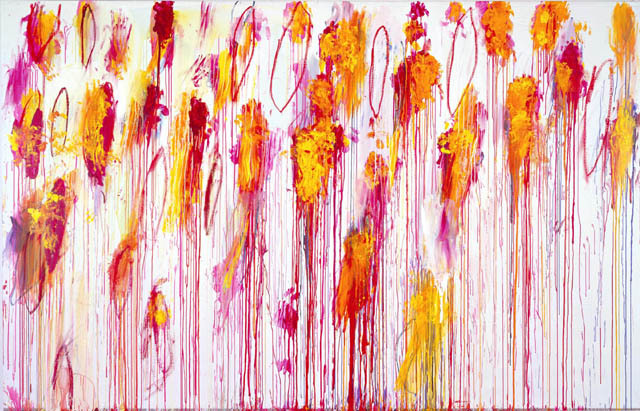 And then, on an auspicious first date, GAD took me to the Cy Twombly Gallery at the Menil Collection. Simply put, I fell in love. That was the first of many many visits to the space. Any out of town visitor was brought to see Twombly for the simple reason that the combination of his works and Renzo Piano’s architecture created a sanctuary of peacefulness and the breathing room to truly think about ‘what is art.” Some people as they strolled past a few of the works in the front gallery just stared at me as if I had lost my mind but as we walked through the chalkboard painting, the “red room” and then finally to the large painting “Say Good-bye, Catallus, to the shores of Asia Minor” which I later wrote a poem about, it was undeniable that they were special — you just couldn’t put your finger on why. 1. An artist’s body of work will never contain everything you like but if you are intrigued by his process, you will inevitably find something that excites you. More importantly you will most likely find something that can make you change the way you see your world. 2. Looking at art you are not familiar with is never comfortable. It requires patience and openness. But the more you look at it, the more you come to understand why someone else might like it (colors, technique, content, etc). The cultivation of sympathy – our ability to think about the world through the perspective of others – is much more valuable than being able to criticise something that doesn’t initially make sense to you. 3. A work does not have to tell a complete story. Much like reading the fragments of Sappho, glimmers of a painting’s story or concept is often preferable to the entire story being mapped out for you visually. As a viewer you become invested in the unraveling of its history and meaning. I have been trying for years to read the text in Catallus and never to any meaningful success. That does not mean that I have ever quit trying. 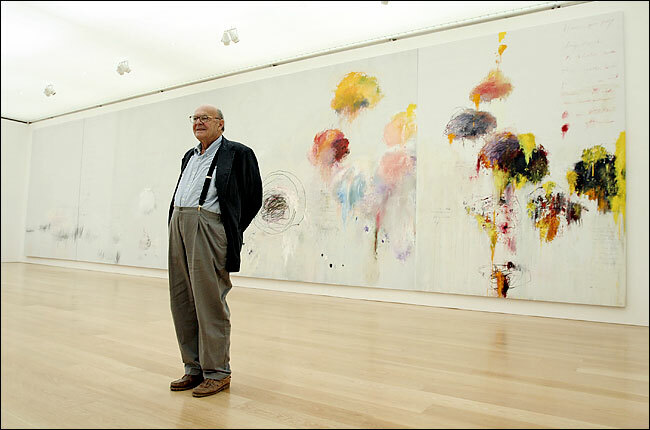 For those of you in Houston, I encourage you to visit the Twombly Gallery to see his works for yourself. Although largely misunderstood by his peers and critics, he created a body of work that was solely his, a voice that never wavered. I am so thankful that I found him because he not only taught me about abstraction and its ability to create emotion but because his works taught me to be patient with myself — that the intricacies of my own life cannot be understood at once but if I keep patiently thinking and being open to whatever comes my way — glimmers of wonderment can happen.